Being a boat owner myself and having bought and sold many over the years, I know what it’s like to fall in love with a beautiful boat. 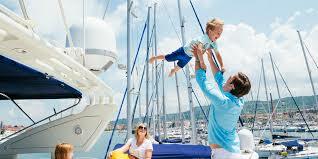 There are many ways to finance a boat – all have advantages and disadvantages. Hatteras Mortgage and Finance has industry leading, AMMF Dealer accreditation, among others, giving us the ability to find the most suitable deal for your budget. Our lenders can offer residuals (balloon payments) on approved vessels or we can use property as security for terms of up to 30 years. We have specialised lenders for boat kits, Stage I, Stage II and Stage III builds, refit and repowering your existing boat. We work with the boat brokers and builders, shipwrights and marine mechanics to arrange the necessary survey reports required, registration documentation and insurance certification so you don’t have to. Call Troy Clayton on 0450 186 351 for an obligation free consultation. Take the stress out of financing your next boat.